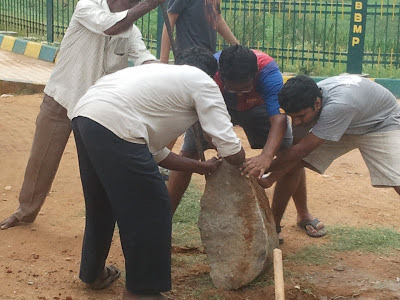 PNLIT volunteers at Puttenahalli Lake were clearing the area around the water body and they stumbled on this big stone. 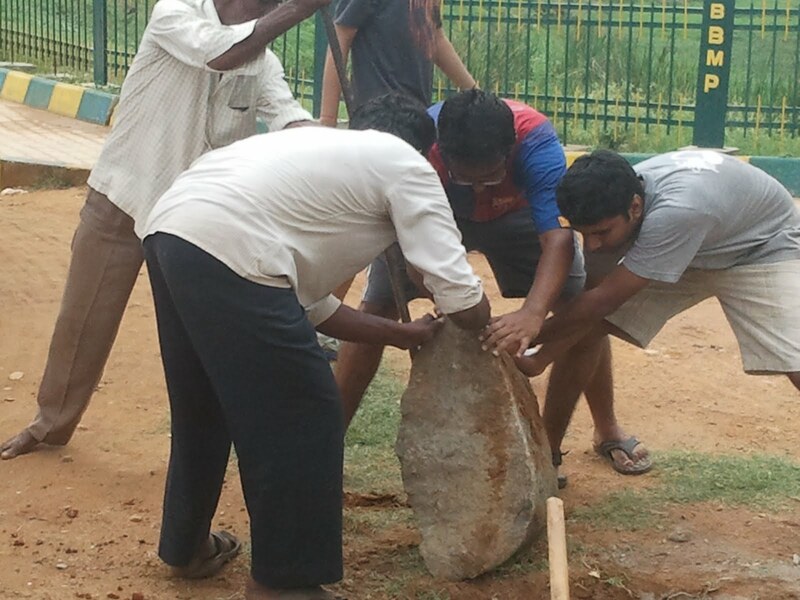 It took the might of four-five men to move it after digging it out of the ground. 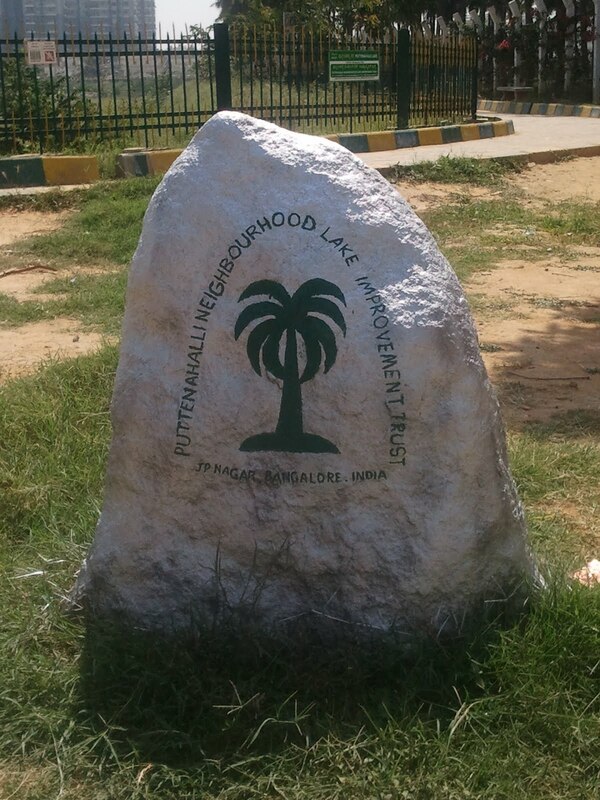 The shape of the stone resembles the shape of the PNLIT logo, so we decided to keep the stone. 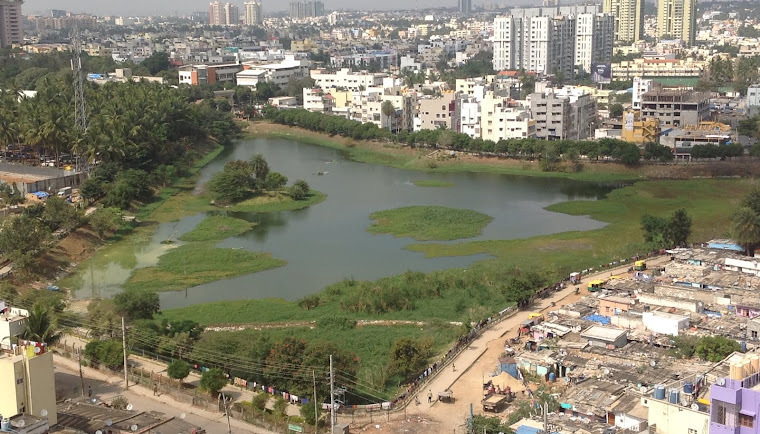 After a good scrub, see how Shana Gokul (artist, lives in the lake neighbourhood) has transformed it. PNLIT is now painted on stone! Stone art has been around for thousands of years, almost as long as humans have. Early paintings on stone were most commonly done using the pigment ochre, sometimes mixed with binding agents such as blood, egg, fat and plant juices. Charcoal, clay and manganese oxide were other materials often used. Our stone was spray painted in silver and then hand painted, using enamels. A search on the internet reveals that Stone Art/ Rock Art is a popular art form among both professional artists and hobby painters these days. One can pick up stones for free and they provide a unique surface to paint on. 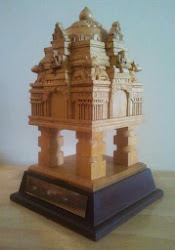 To know more about painting on stone, check out Artists that Paint on Stone. You may just find yourself a new interesting profession or hobby!